We had earlier brought you some exclusive spyshots and video of the upcoming Tata 45X premium hatch back. Now, new images have surfaced giving even a better view of the car’s exteriors. These pictures are from Coimbatore while the car was being apparently refueled at a petrol pump. 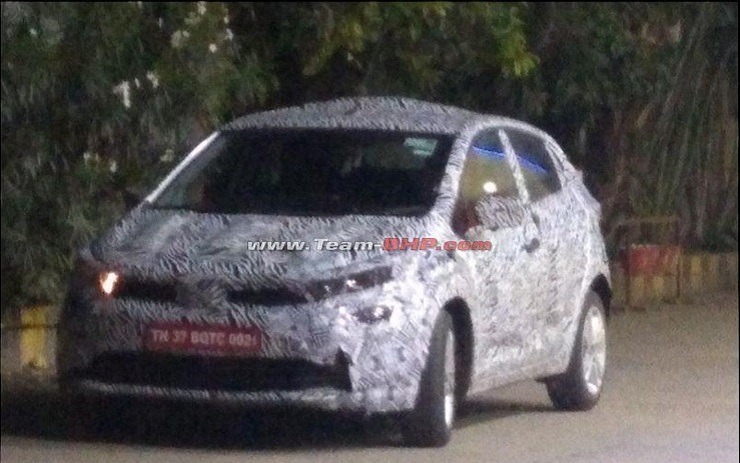 From the spyshots, it is evident that the car will be much longer and premium than the current crop of hatchbacks by Tata. However, the body language carries the current family design DNA. It is based on the 45X concept car showcased by the company during the 2018 auto Expo. Tata’s new IMPACT design 2.0 philosophy is the base for the car’s design. 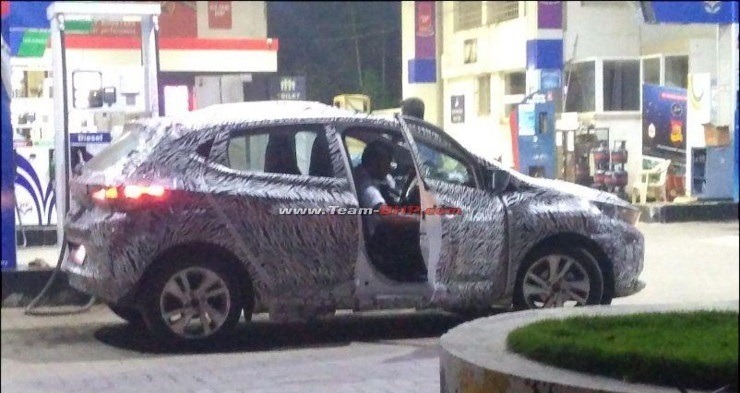 Thought the spyshots don’t give a very clear picture of the car’s final design due to the camouflage, it gets new sweptback headlamps, prominent shoulder line, sloping roofline and wraparound tail lights, among many other elements. Tata Motors has not revealed any details about the 45X’s powertrain options as of yet. It is expected that the 45X will borrow its engine and gearbox options from the Nexon compact SUV. The Tata Nexon is available with two engine options – a 1.2-litre turbo petrol and a turbocharged 1.5-litre diesel. Talking of the engines, the petrol engine produces 108 Bhp of power and 170 Nm of torque while the diesel cranks out identical108 Bhp of power but greater max torque of 260 Nm of torque. Both engines are paired to 6-speed manuals, and Tata Motors is working on a dual-clutch automatic gearbox for the car. The production-spec Tata 45X will rival the likes of the Maruti Baleno, Hyundai i20 and the Honda Jazz when it is launched in India. Another potential rival could be the upcoming Toyota hatchback born out of the Toyota-Maruti partnership and based on the Maruti Baleno hatchback. There has been no information on the interiors and features of the car but seeing the current improvement in other Tata cars interiors along with fit and finish, expect the 45X to be decently specced. The launch of the car is yet to be confirmed but going by rumors and speculations, Tata will launch the car most probably in the mid session of next year. The car could be priced between Rs. 5 Lakhs to Rs. 7.5 Lakhs and will prove to be a formidable competitor in its segment,just like the smaller Tiago hatchback. Also, the company could bring in a sedan version of the 45X too, but that’s quite far away for now. « Jeep Compass sales see BIG fall: Mahindra XUV500 effect?